Cassandra H. P. Donovan is an accomplished attorney with a comprehensive background in civil litigation. She utilizes her diverse professional knowledge and legal experience to represent clients in various phases of the litigation process. Ms. Donovan’s practice focuses on complex civil litigation in several areas, including general liability, professional liability, toxic torts, products liability, municipal liability and appellate advocacy. For more than a decade, Ms. Donovan was actively engaged in the defense and management of an extensive caseload, on behalf of major corporate clients, in the Upstate New York Asbestos Litigation. Ms. Donovan has also successfully defended officers and directors of housing cooperatives/corporations in area Courts, and before the New York City Commission on Human Rights. 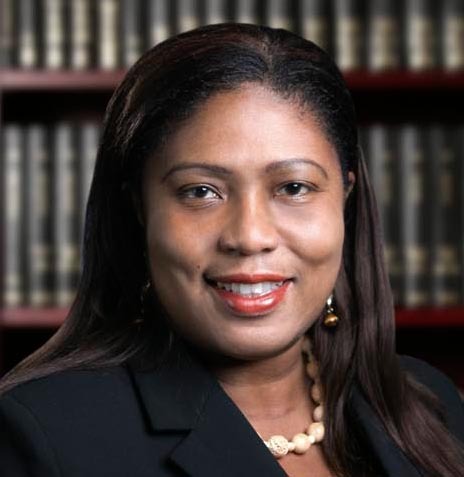 Prior to embarking on her law career, Ms. Donovan was the assistant director of commercial revitalization at a local economic development group where she devised and implemented public-private initiatives to foster targeted and sustainable economic development and commercial revitalization ventures in various New York City neighborhoods. Ms. Donovan, an avid reader, who is fluent in French, and fully conversant in Spanish, also served as a Professional Attaché/Intern at the United Nations Office for Human Rights in Geneva, Switzerland. Currently, Ms. Donovan serves as a Trustee of the Board of WAGE International (“Women and Girls’ Education International”). Ms. Donovan is also a member of the American Bar Association and the New York State Bar Association, and a former member of the American Bar Association Council of Appellate Lawyers Rules Committee.